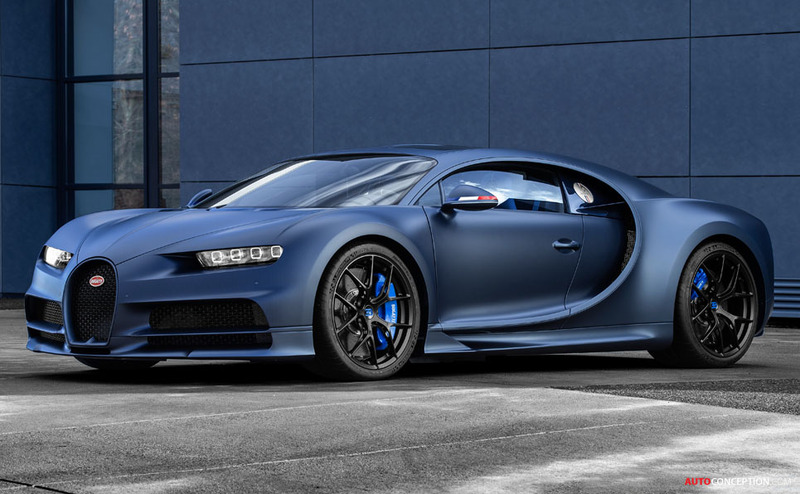 Bugatti has revealed a limited edition Chiron as part of celebrations marking the French brand’s 110th anniversary. 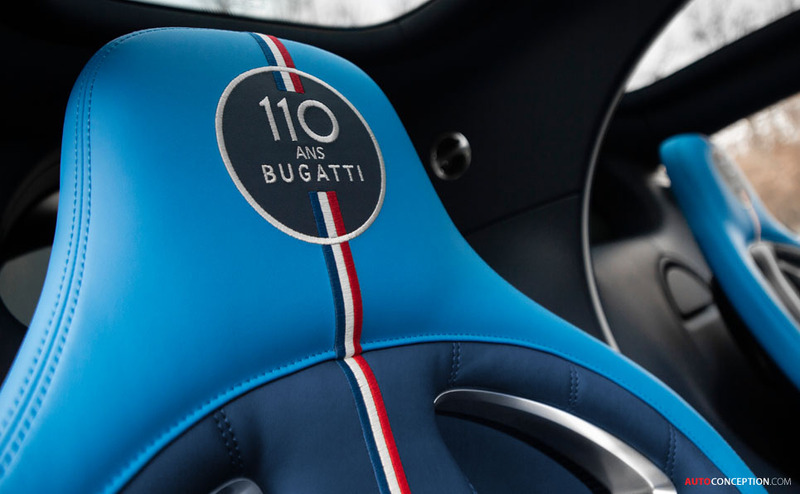 Limited to just 20 units, the ‘110 ans Bugatti’ not only celebrates the hyper sports car manufacturer’s anniversary but also pays tribute to France. 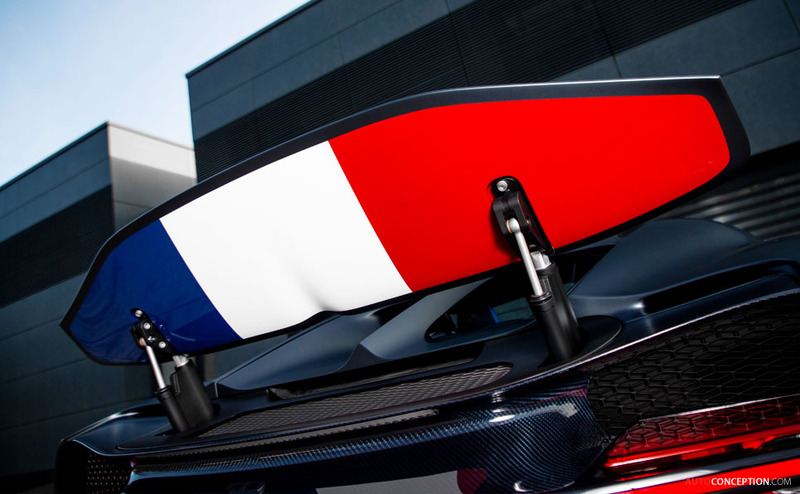 As such, the French tricolour – “Le Bleu-Blanc-Rouge” – with its colours of blue, white and red, appears in multiple places both on the car’s exterior and interior. On the outside it is most conspicuous on the underside of the rear spoiler, while a less discrete version runs vertically through the “110 ans Bugatti” logo found on the aluminium filler cap. In keeping with the French theme, the car’s carbon-fibre bodywork is also finished in a specially created matte “Steel Blue” paintwork. Additionally, bright blue brake calipers contrast against alloy wheels painted in “Nocturne” matte black. The 110 ans Bugatti also comes fitted as standard with a ‘Sky View’ roof. Consisting of two fixed glass panels above the driver’s and passenger’s seats, the design feature was announced back in the summer of 2018 but only as an option. 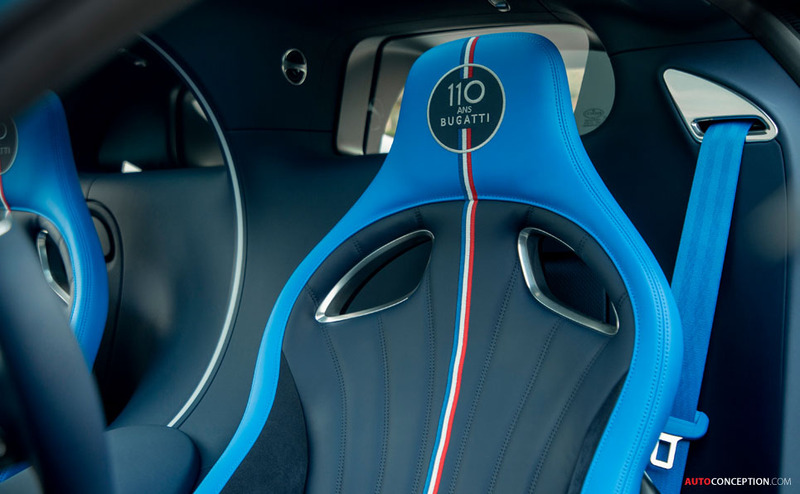 On the car’s inside, the French tricolour reappears in the form of stripes on the seats and leather steering wheel. 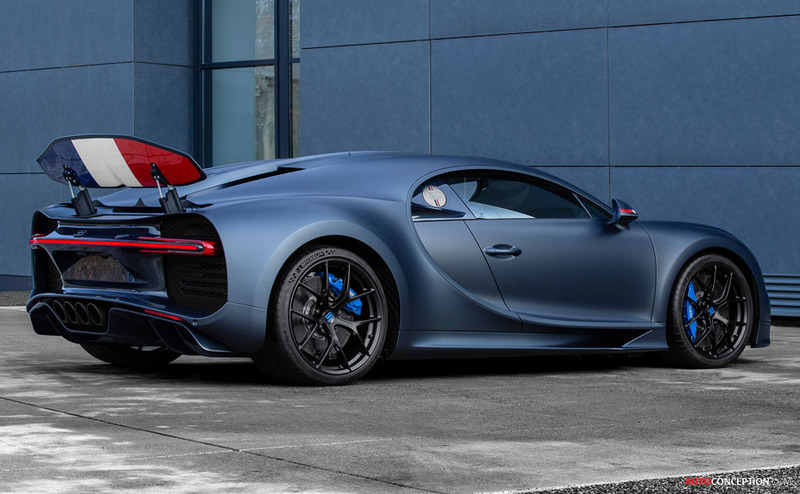 The latter combines matt carbon-fibre with a blue leather cover. There’s also a specially crafted medallion in the central console stowage space, made of solid silver with enamel inserts, positioned on a carbon-fibre plate.